Hey y'all! How's everyone doing? 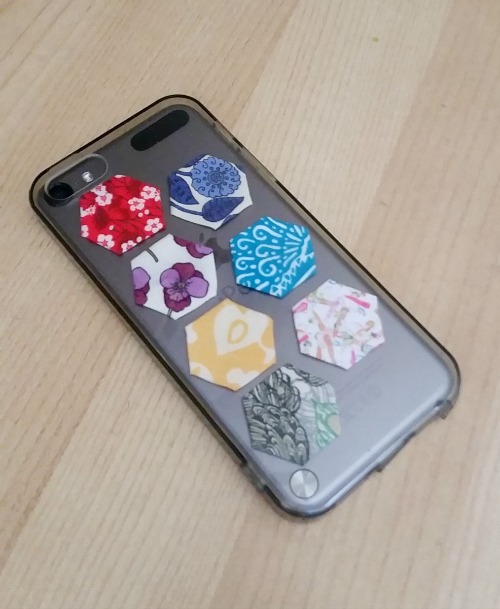 So, the good people over at Makeful asked me to participate in a little challenge they were hosting to decorate cellphone cases. 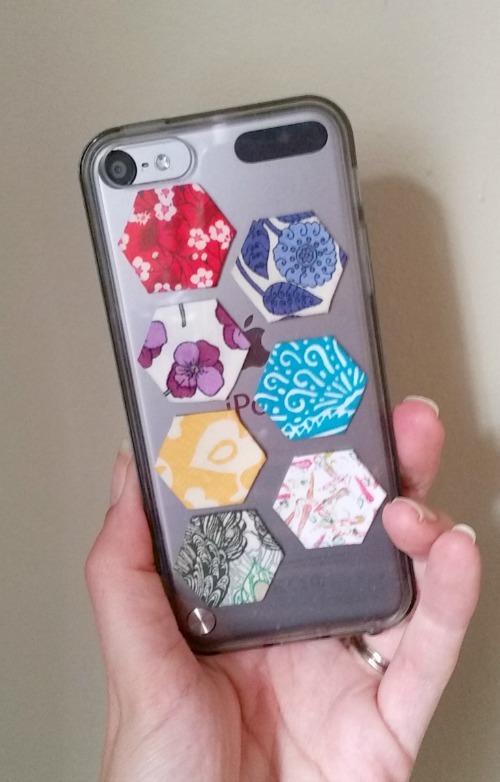 Being that I'm a quilter, I tried to think of a way to use fabric to decorate the case (not very easy once I started thinking of all the ways that wouldn't work very well), and I came up with this wee idea! Unfortunately, they weren't able to get a hold of a case that would fit my Galaxy, so they sent me one for an iPhone 6. Luckily, it fits my iPod Touch almost exactly. The camera hole is a little off but since I never use the camera on my iPod - not a big deal! I used some little Liberty scraps from my stash and made the hexies using the English Paper Piecing method I describe in this tutorial; these hexies are 1/2" per side. I was worried about the hexies lifting off the case or the fabric getting dirty and grubby, so I adhered them to the inside of the case rather than the outside. Can we talk about how hard it is to take a picture of a clear phone case?! So many reflections! I love how the hexies look like they're floating in the case, and it's pretty fun to be able to show off some much-loved fabric prints. P.S. In case you're wondering where I've been the last few months, I was very busy getting married and stuff! It was a great day and we had so, so, so much fun. I love the case decoration. 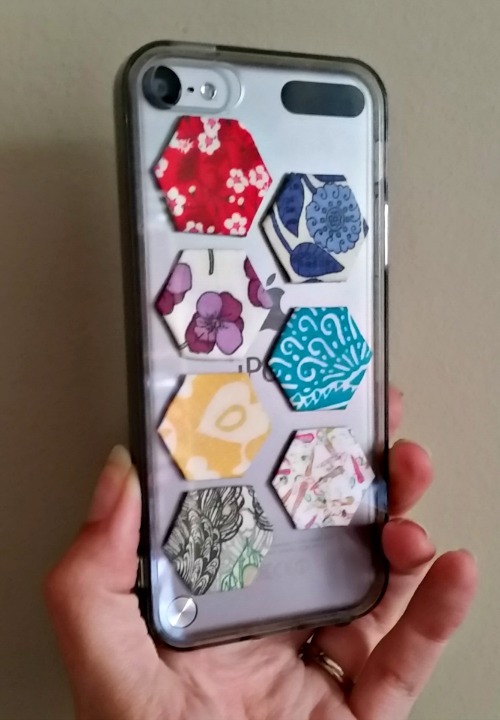 One question, how did you manage to adhere the hexies to a clear case without any glue showing? Congraluations on your marriage!! Love the hexies!